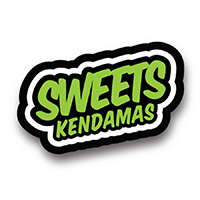 The Prime Kendama is Sweets newest Kendama product in a more affordable price range. The new shape is made to land tricks easier and to make the game play less hard in practice. The cups are slightly larger that the ones form the standard Kendama shape, while the used paint is really tacky at the same time. Each Kendama comes with an extra string and bead, sticker, and instruction booklet. A percentage of the profits from each Prime Pro Model sale will go directly to the respective Pro Player. Customer evaluation for "Max Norcross - Prime Pro Model"